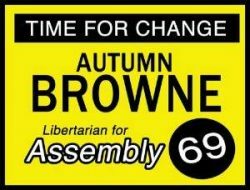 OC Politics Blog | Poll: Should has-been Chris Norby consider another Assembly run? Norby often been praised for his Conservative positions and stance for property rights. But his “eccentric” behavior (as Wisckol described it) no doubt contributed to his “running an inept, poorly funded campaign (he was beaten by a rookie campaign manager) in 2012″. This has-been “didn’t take his latest Democrat opponent seriously and got beaten for an important Assembly seat that will be hell for the GOP to recapture. He has a questionable reputation, [and] can be erratic and unstable” as we said in November. Being on his fourth marriage likely didn’t help either as Republicans aren’t as understanding about such personal matters as their Democrat competition seems to be. While County Supervisor, Norby appointed Phil Tsunoda, a Democrat now infesting the Aliso Viejo City Council, as his Chief of Staff . Since he’s so adept at cronyism, Tsunoda, like Norby’s brother, has slimed his way through a variety of well-paid County staff positions at Public Works and the Clerk-Recorder. He is now with CalOptima. It’s not too early to take the temperature in AD65. Here’s our first poll for the 2014 election, presenting a small slate of potential GOP candidates for this District that includes Fullerton, Anaheim, Cypress, Stanton, La Palma and pieces of LA County. We’ve not confirmed if the individuals listed actually live in AD65 — we’re just using names from Wisckol’s article and have added a few of our own. Please leave a comment with suggestions for anyone else that might be added. We’ve scheduled the Poll to run thru next week, ending on Saturday, 7/13. I vote for Young Kim (Staffer to Rep. Ed Royce)! I hope that Bruce Whitaker gets through the Primary, because he is the only hope for the GOP. A political staffer that just moved into the 65th Assembly District will get destroyed by Quirk-Silva. Ask Harry Sidhu how popular carpetbaggers are. Is Bruce running for sure? Young Kim all the way!